Your wedding is one of the most special and important days of your life. Tying the knot with your partner symbolizes the moment your lives converge. Moving forward, it’s the two of you! You’ll want to look back on the day you were married and reminisce about how quickly it went by, how beautiful the bridal gown was, and how happy everybody was during the reception. And how, might you ask, are you going to reminisce about that day? By looking at your wedding photos, of course! Choosing a wedding photographer isn’t rocket science, but you want to consider several factors. Many professional photographers run a tight schedule. Some might even book weddings many months in advance. Plan to start your search for a wedding photographer as early as you can so you can choose the photographer with a portfolio of your dreams. Do you have any other professionals helping you to plan your wedding? One of the best ways to find a capable photographer is to find someone they’ve worked with before. Caterers, drivers, florists… they know the industry and they’ll be able to provide some useful feedback. If someone in the bridal party or the one of the groomsmen has been married, it’s possible they know of a photographer who might be just perfect for your wedding. Contacts of the photographer may be able to provide you a reference for their work. Take them up on it! Professional photographers won’t mind if you hear about satisfaction from previous customers. 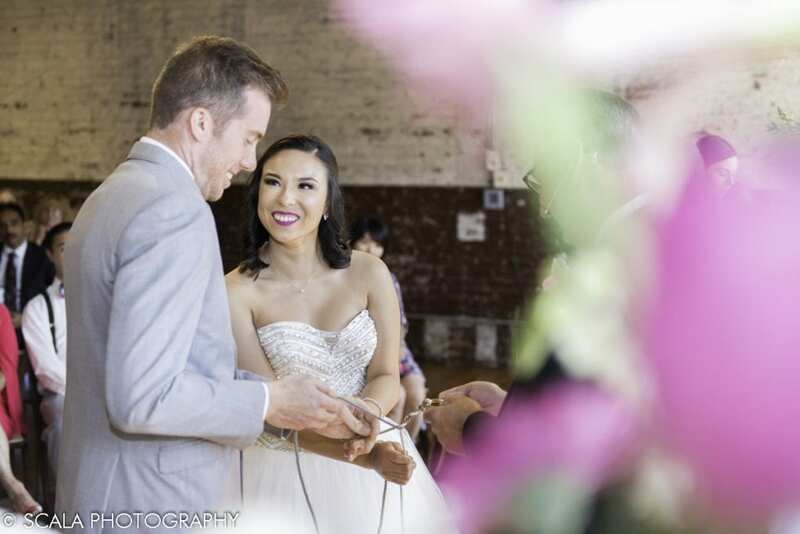 You can being to narrow down your photographer options by taking a look at their services. Is there a certain package you want? Do you know what style you want the day captured in? Be sure to do some research on the photographers you’re interested in to ensure they provide the kind of wedding photography and style that you’re interested in. Some wedding photographers will provide a timeline for the production of the wedding album. Taking note of this can help in the decision making process. Once you’ve narrowed down your list of photographers, you’ll be ready to interview them to figure out the answer to all these questions. During this interview, you can view their portfolios in more detail. Be sure to look through at least one full wedding album so you can get a taste for how the entire event will be captured. Another important aspect to consider revolves around money. How is the pricing for each photographer? Does the photographer you like fit in your budget? These questions will help you weed out the photographers who aren’t 100 percent on the same page as you. Remember that your wedding is your day and the photographer will help you remember it with clarity, emotionality, and beautifully. Choose the photographer whose personality meshes with yours. Choose the wedding photographer who engages you. They’ll help you keep the memories of your wedding day alive.